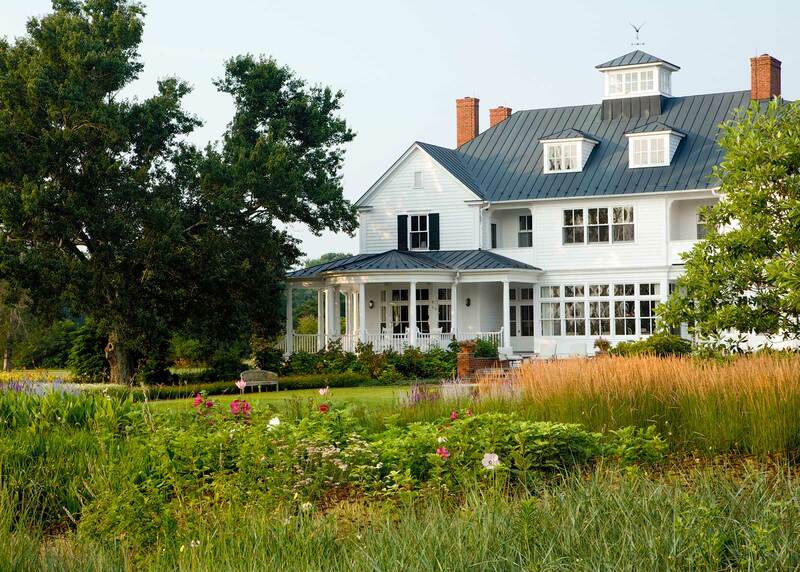 Kendale Farm is part of a large family estate incorporating 2500 acres along five miles of the Rappahannock River in Tidewater, Virginia. 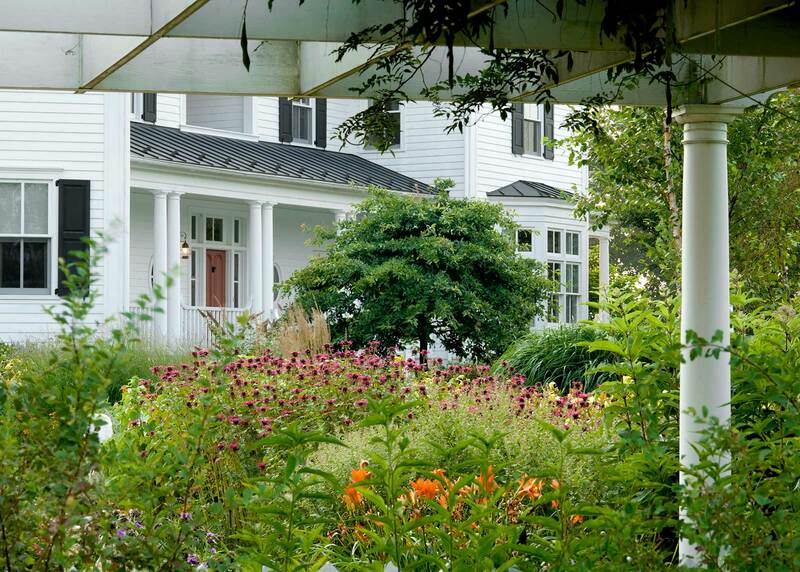 The original 1880’s house was renovated and enlarged to update the farm as a contemporary country family retreat. 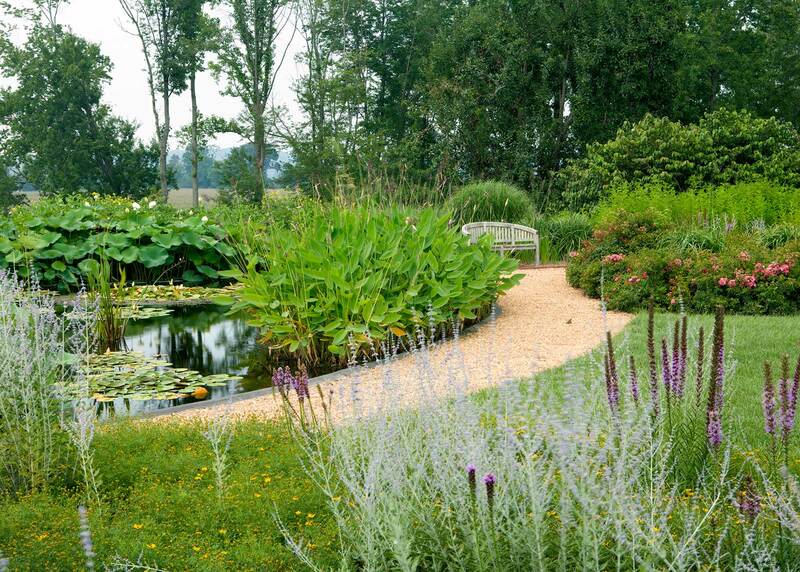 A new approach to the house, planted with drifts of roses, grasses and hawthorn, ends in a circular forecourt. 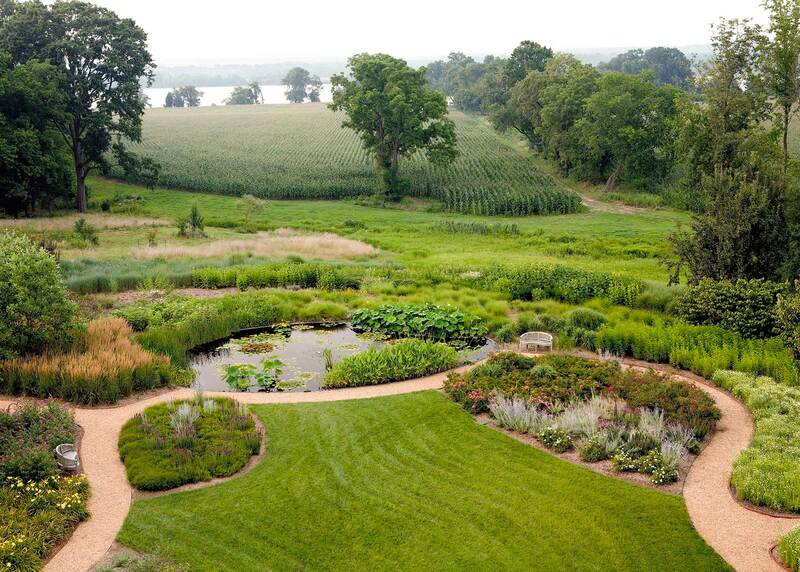 Off the kitchen is a potager garden featuring a water bowl at the center of the “four river” motif. 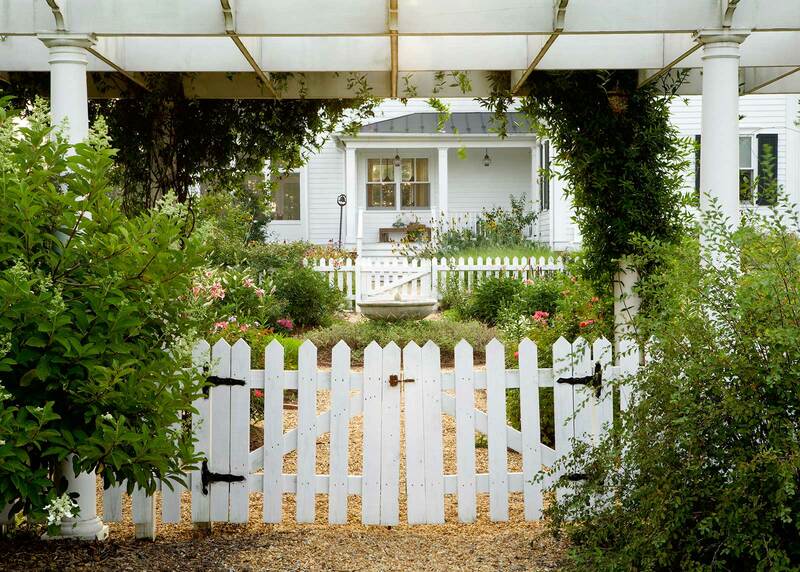 The garden is enclosed by a white picket fence and bound by a grape arbor and a historic kitchen building now used as a potting shed. 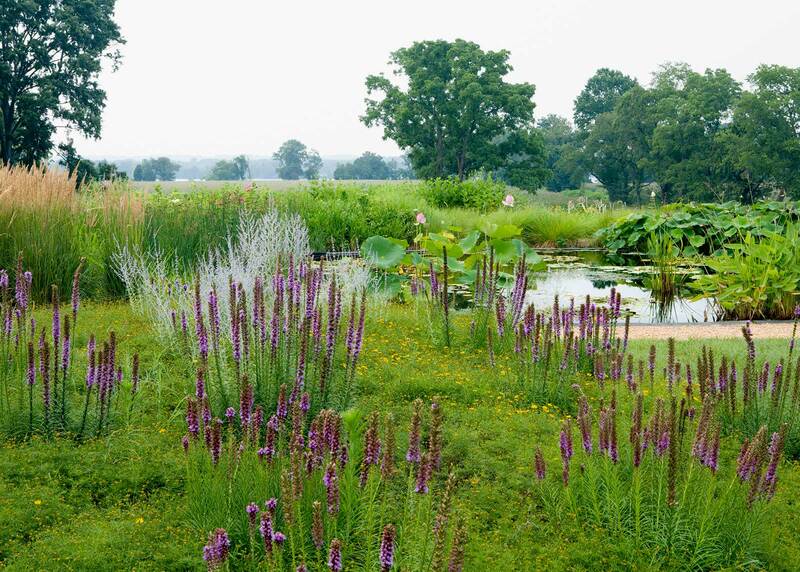 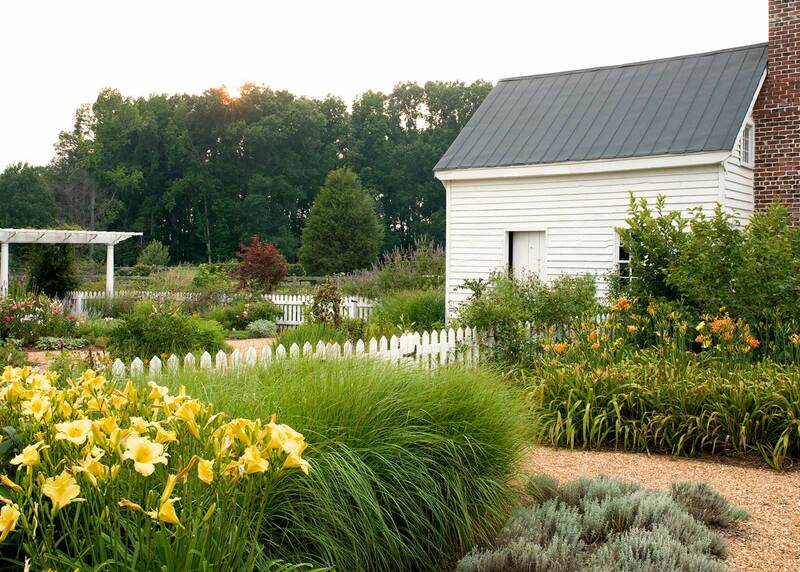 A serpentine garden walk features a large lily pool, and a rich profusion of perennials, shrubs and grasses provide a foreground to the distant views of the meadows, farm fields and the Rappahannock River beyond.